A recent report, The Facts Hurt: A State-By-State Injury Prevention Policy Report, disclosed that Colorado ranks 16th highest in the number of injury-related deaths among the states. The national average is 58.4 deaths per 100,000 people, while Colorado reports 70.7 deaths per 100,000 people. While the rates in other states fluctuated- some for the better, some for the worse- Colorado’s injury death rate has remained the same over the past four years. Furthermore, research indicates that these injuries are relatively predictable, and therefore, preventable. 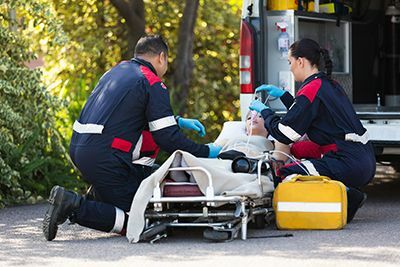 The report demonstrates that common sense and a commitment to quality public health practices could go a long way to staving off some of these injuries and fatalities. The other indicators- for which Colorado did not score points- included, preventing falls, requiring bicycle helmets for children, restricting teen driver’s licenses, and the implementation of primary seat belt laws. These four areas represent some highly preventable injuries. For instance, the Centers for Disease Control and Prevention reports that millions of older Americans fall every year, and, in 2013, 25,500 of these died from their fall-related injuries. Meanwhile, OSHA says slips, trips, and falls constitute the majority of general industry accidents. All total, falls account for more than 8 million emergency department visits annually. Millions of Americans ride bicycles, however, fewer than half wear a bicycle helmet. In the United States, 800 cyclists were killed and another 515,000 sustained injuries that required emergency room treatment in 2010. Approximately half of these individuals were children and adolescents under the age of 20. Approximately 26,000 of these injuries every year are traumatic brain injuries. Car accidents are the leading cause of death for teenagers in the U.S., according to the CDC. In 2011, 2,650 Americans ages 16 to 19 died in crashes, and an additional 292,000 were treated in emergency rooms for crash-related injuries. Research indicates the most comprehensive graduated drivers licensing programs could reduce crash-related deaths and injuries by 38% and 40%, respectively, for 16-year-old drivers. Seat belts, worn properly, are your single greatest source of protection in a car accident. The National Safety Council reports over 90 percent of Americans wear seat belts, and those who don’t are putting themselves in unnecessary danger. Of the vehicle occupants killed in 2012, over half of them were not wearing a seat belt. Thousands more injuries and fatalities could be prevented every year with primary seat belt law enforcement. If you or someone you love has been injured due to the negligence of another, you have a legal right to seek compensation for those injuries and for the pain and suffering you have endured. Contact the experienced Colorado Springs personal injury attorneys at the Green Law Firm today to schedule a no-obligation consultation and discuss your case. Call us today at 1-719-694-8515.